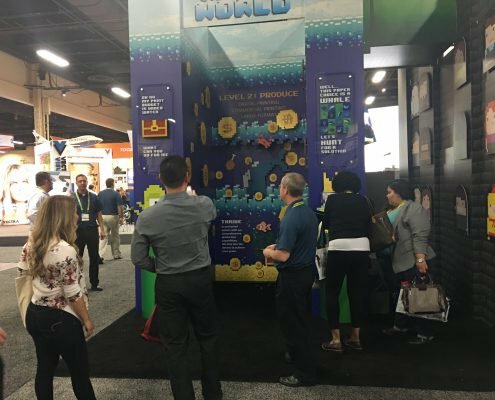 This trade show booth was created for our GlobalShop 2017 campaign and showcases how our creative and production services come together to make truly outstanding projects. 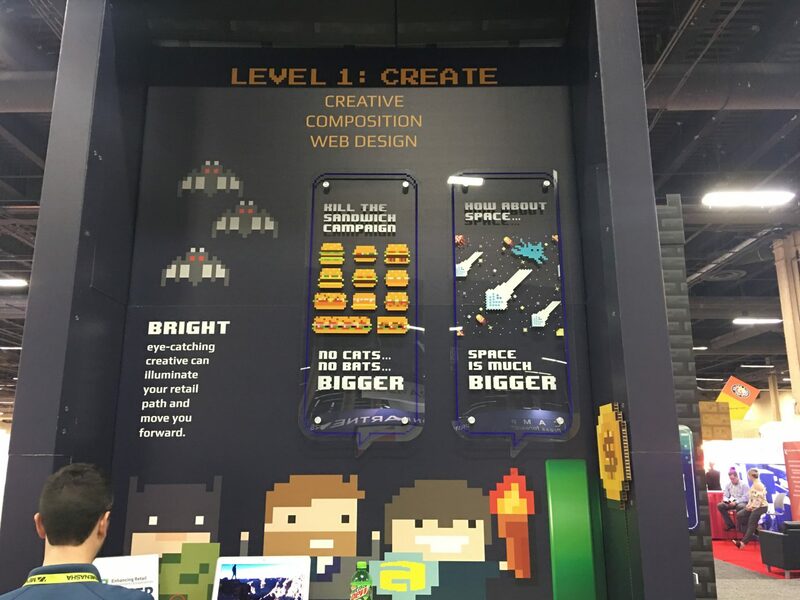 This trade show booth had a kitschy take on an 8-bit electronic classic featured sea monsters, castles, and brave warriors. As well as the iconic graphics of retro video games. 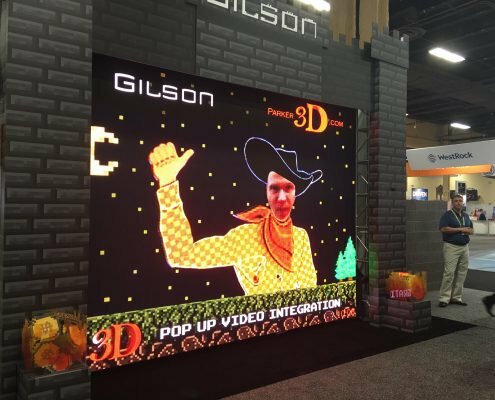 We reached out to Gilson customers in a creative, yet systematic way as our theme and setup stood alongside other booths at the show. 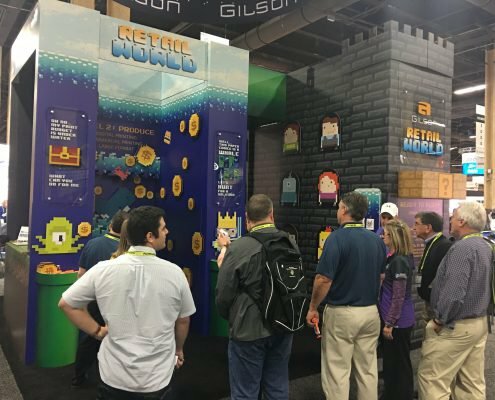 GlobalShop is held at the Mandalay Bay Convention Center in Las Vegas and is the world’s largest retail trade show. 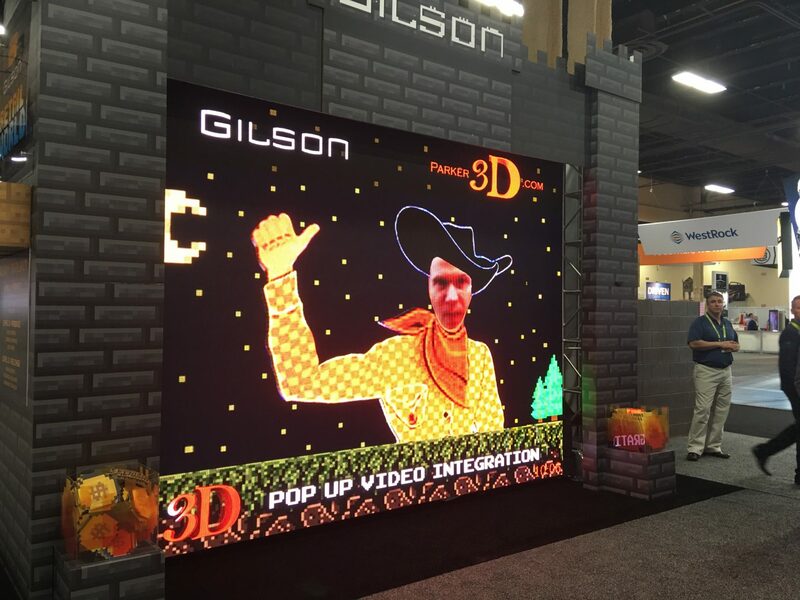 Gilson’s booths encourage participation and engagement to everyone who passes by our space. 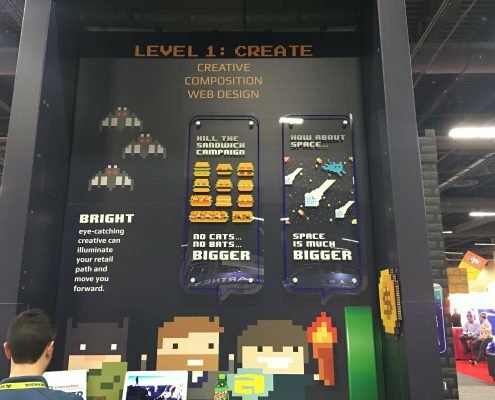 The 2017 booth had a massive digital display with a retro video developed by our creative team. And our Nerf gun shooting range had attendees hitting moving targets with suction cup darts. 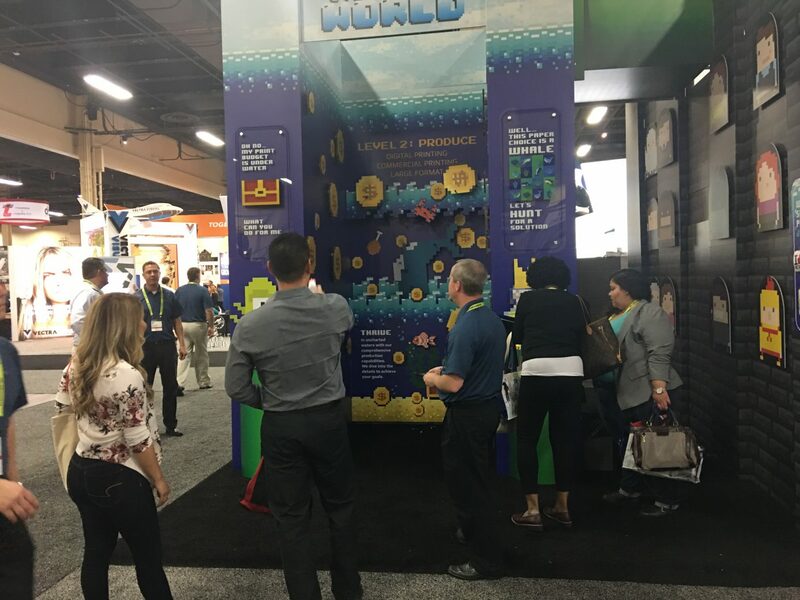 People tested their marketing “enemies” in a fun and retro way with this dart game that had everyone talking. The darts were included in the pre-show campaign as well. 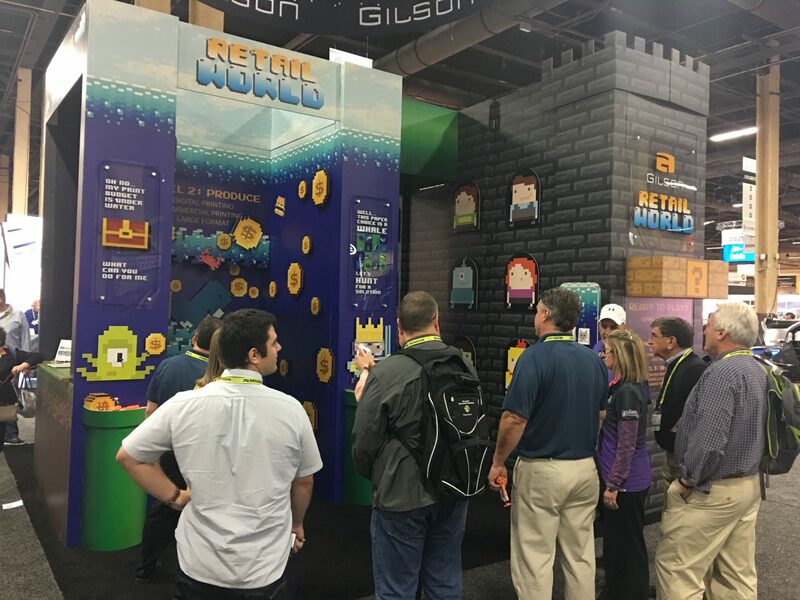 Gilson mailed darts to select clients and leads and encouraged them to ‘Save The Dart!’ by bringing it to GlobalShop and visiting Gilson at the trade show booth for a chance to win prizes. 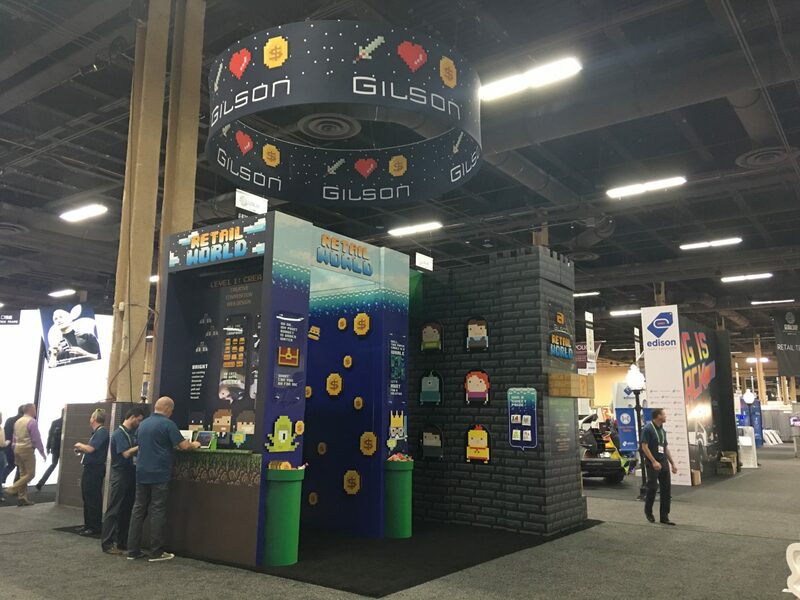 The direct mail pieces drew a parallel between Gilson’s message and the theme of the booth, increasing foot traffic and recognition of Gilson’s name at the show. The promotion was fun and effective while having a retro flair! Contact us for more information if you’re in need of a trade show booth or other show materials.